Isn't it funny how you shine ? "This is an experiment in mind formation, in-formation, forming, controlling, operating your mind and your brain, using digital techniques to overload, scramble, confuse, unfocus your mind." In order to save on studio costs, the sessions for The Stone Roses' debut album were all-nighters, 7 p.m. - 7 a.m., resulting in a lot of fatigued humour. Living a bohemian lifestyle, the band were sharing a rented house at Kensal Rise, in north-west London, with a businessman called Jonathan; the band would come in, stoned, just as a suited Jonathan would be eating his breakfast, about to set off for his day's work. It was part of the Zomba contract that the band had to use their studios, and The Stone Roses were the first act to get out of that arrangement, and go to Rockfield. Don't Stop, Bye Bye Badman and Shoot You Down were the last songs to be written for the debut LP, penned in the intervening period between the first recording sessions in July 1988, and the next sessions in September 1988. Don't Stop is an old sixteen-track demo of Waterfall reversed, with the bass drum triggered, and overdubbed vocals and cowbell. The bass line was put through a gate that was triggered by Reni playing sticks on the floor. All the mic'ing was done back to front. Cymbals were recorded from underneath, guitar amps were recorded from the back. John Squire wrote the lyrics by listening to Waterfall backwards and writing down what he heard. "It's good fun doing that, because you sort of remove your involvement from the song, you don’t really know what's going to come next." (John Squire, The Guitar Magazine - August 1997). Producer John Leckie had crafted tracks of this nature previously, with XTC, but Don't Stop was the product of Paul Schroeder at the helm. The Roses' A&R man Roddy McKenna was under pressure from his bosses to keep a tight control on the budget. Leckie was being paid for his time, but Schroeder worked for the company. To save money, McKenna suggested that the band record b-sides for future singles with Schroeder alone. This resulted in an incredibly productive weekend, in which the band recorded Going Down, Mersey Paradise and Don't Stop. I remember reading a Beatles special feature in Mojo magazine (it was either Mojo or Q - please email me at Paul@Thisisthedaybreak.co.uk if you know which) where different artists were asked to name their favourite track by The Beatles. John Squire's answer was 'Rain' (1966), the first release to feature a backmasked message: "Sunshine ... Rain ... When the rain comes, they run and hide their heads." Backmasking was popularised by The Beatles, who used backward vocals and instrumentation on numerous songs of their 1966 album, 'Revolver'. Backmasking is a recording technique in which a sound or message is recorded backwards onto a track that is meant to be played forwards. Both John Lennon and producer George Martin both claim to have discovered the backward recording technique during the recording of Revolver, which can be heard on tracks such as 'I'm Only Sleeping' and 'Tomorrow Never Knows'. Lennon stated that, while under the influence of marijuana, he accidentally played the tapes for that day in reverse when he got home, and enjoyed the sound. The following day, he shared the results with the other Beatles, and the effect was used first in the guitar solo for 'Tomorrow Never Knows', and later in the coda of 'Rain'. According to Martin, the band had been experimenting with changing the speeds of and reversing the 'Tomorrow Never Knows' tapes, and Martin got the idea of reversing Lennon's vocals and guitar, which he did with a clip from 'Rain'. Lennon then liked the effect and kept it. The 'Paul is dead' rumour further increased the interest in backmasking popular music; this urban legend alleged that Paul McCartney died in 1966 and was replaced by a look-alike and sound-alike. 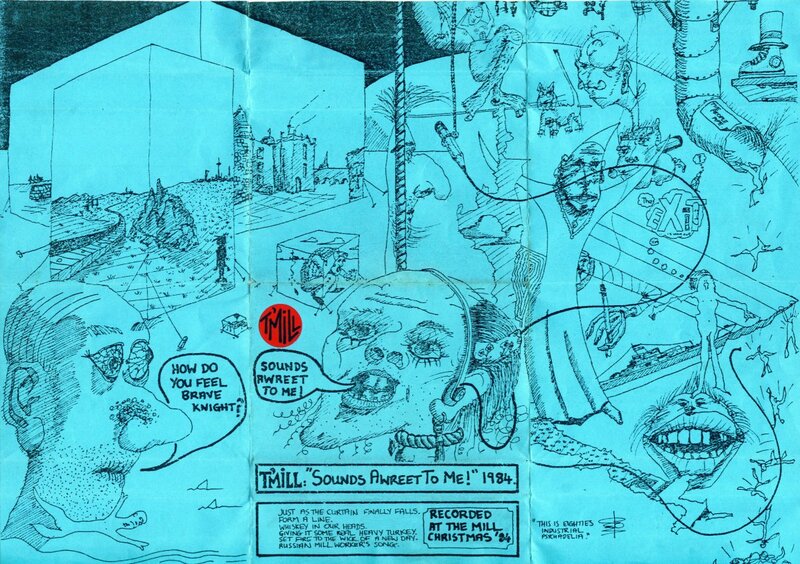 Purported clues include statements heard when particular Beatles songs are played backwards, symbolism found in obscure lyrics, and ambiguous imagery on album covers. 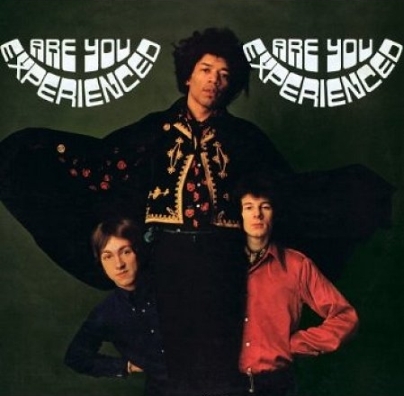 Jimi Hendrix quickly followed the lead of The Beatles, and backmasking was a feature on his band's debut LP, 'Are You Experienced' (1967). "That's me... with the first backwards tape on any record anywhere. Before Hendrix, before The Who, before any fucker. I got home from the studio and I was stoned out of my mind on marijuana and, as I usually do, I listened to what I'd recorded that day. Somehow I got it on backwards and I sat there, transfixed, with the earphones on, with a big hash joint." 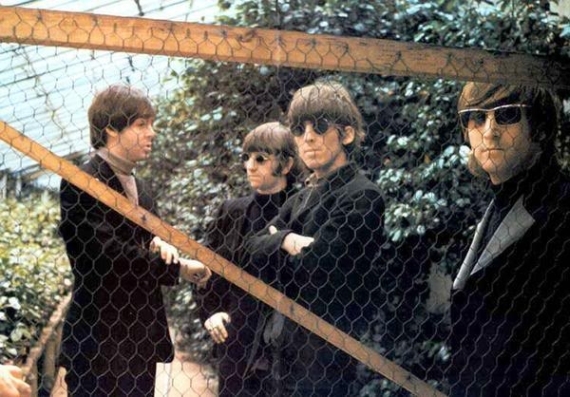 Top left: The Beatles on the set of the Rain video. Works such as Rain by The Beatles, and the hypnotic dual guitar break on Change Is Now, from The Notorious Byrd Brothers LP, set the template for The Stone Roses' backwards experimentation. When John Lennon appeared on The Tomorrow Show in 1975, interviewer Tom Snyder rather prophetically suggested, "But don't you know that in about 1988, there's going to be a group come out that is going to pick right back to the sound that you guys had since you were 15 years old. And all kinds of critics and all kinds of artists are going to say, 'Wow, look at this. We've got this whole new sound that's reminiscent of The Beatles back in the '60s.'" That group turned out to be The Stone Roses. Top right: 'Are You Experienced' by The Jimi Hendrix Experience. The "third stone satellite" of Tightrope is a construct of Third Stone From the Sun. 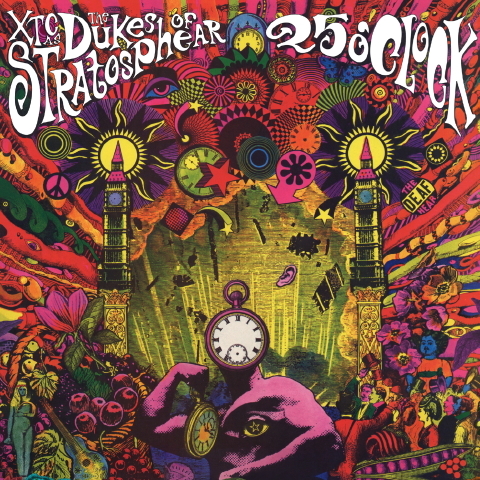 Bottom left: '25 O'Clock' by XTC, a pop homage to 1960s psychedelia released under the pseudonym, The Dukes of Stratosphear in 1985. The Dukes of Stratosphear were mining many of the same Paisley Underground influences that The Stone Roses would themselves later explore. Ian, John and Reni went to Mani's house and listened to this Dukes of Stratosphear LP, and were impressed at how John Leckie captured a psychedelic - yet modern - sound. 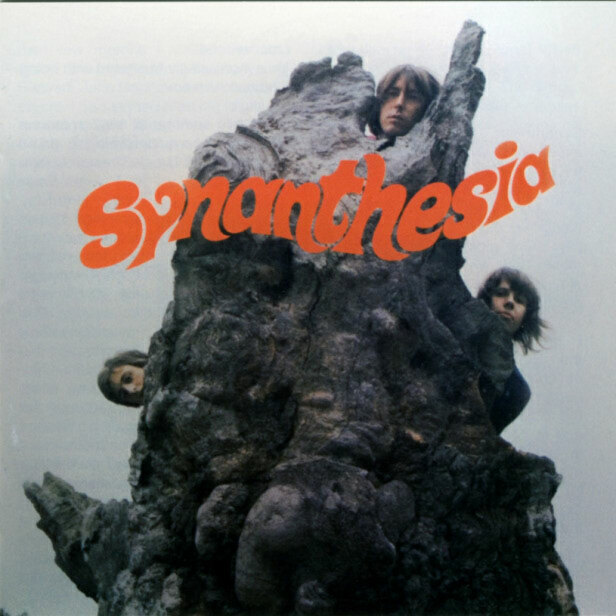 With The Mill, Mani was experimenting in a bit of 'Industrial Psychedelia' as early as 1984 (the opening track of this demo by The Mill is a Synanthesia cover, whose sole LP offering came in 1969). 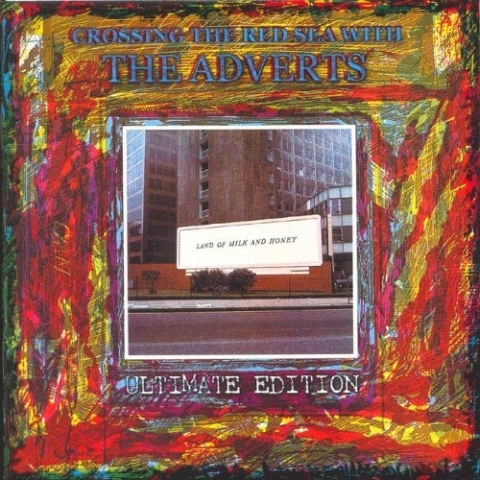 Leckie had produced punk outfit, The Adverts' debut LP, 'Crossing the Red Sea with the Adverts' (bottom right), released on Stiff Records in February 1978. Ian Brown won a copy of this record in a Manchester Evening News competition in 1978. He had to name the first single by The Adverts - the answer was 'One Chord Wonders' - which was the first punk single that Ian had bought. Ian Brown and Pete Garner were avid fans of The Damned (also on Stiff Records), who released the limited edition single, Stretcher Case Baby / Sick of Being Sick, in July 1977. Only 5,000 copies were distributed, none via record shops. Copies were initially given away at the band's London Marquee Club first anniversary concerts, but when these were cut short, further copies were given to fan club members, and 250 were given as crossword prizes with the New Musical Express. Ian, ever the opportunist, wrote to Stiff Records asking for a copy and they sent him one. "He must be one of us" is possibly from Mark 9: 39. "Don't Stop is simply the original demo of Waterfall run through John's Portastudio so that the two tracks play backwards. They played it to me and I just said, that's got to go on the record." "The running order was decided by Leckie and the band. I think that Don't Stop was the only bone of contention, but the band were adamant to have it on." "It was accidental, it sounded great backwards...that's my favourite thing on the LP. There's 20 seconds at the end that's killer, the little rhythm that comes in." The performance of this song at Spike Island is mesmeric, closing with interlocking bass and military-style snare drumming. In 1989, John Squire created an artistic work, entitled 'Don't Stop' (oil on canvas, 3' x 5'), for an NME competition in their Christmas 1989 Issue.